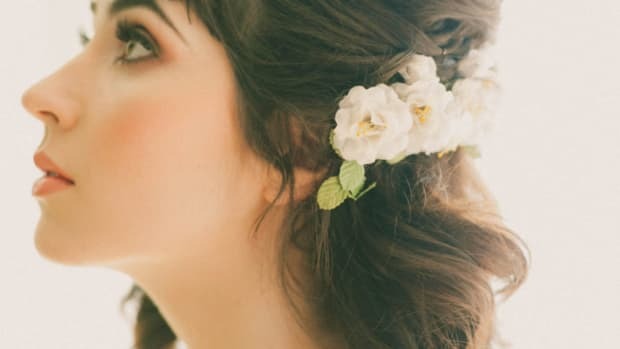 Jewelry is usually the last thing a bride thinks about when preparing for her big day—sometimes, it’s even an afterthought. But as we all know, last-minute shopping and planning is stressful and often results in rash choices that don’t reflect your personal style. 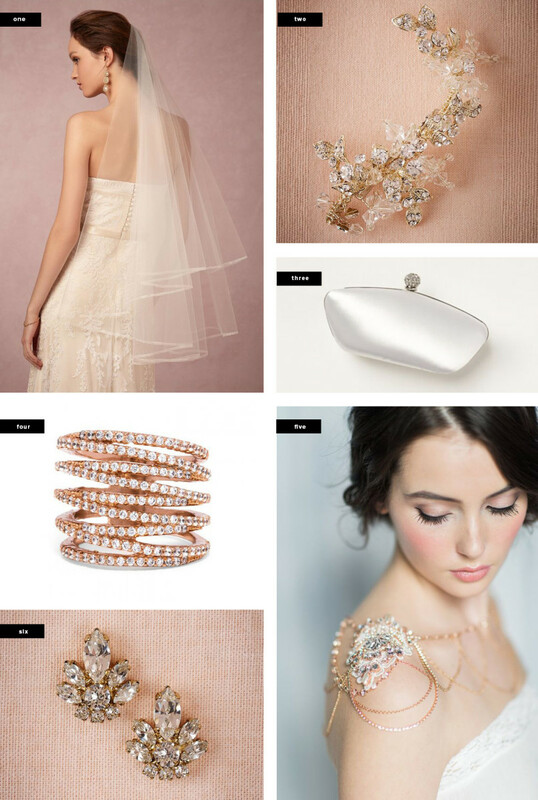 Traditional diamond studs or pearls are of course classic, but if you want to explore different bridal jewelry styles, consider incorporating the ones below. We all have unique personal styles that can shine through in our bridal jewelry—so, which style are you? 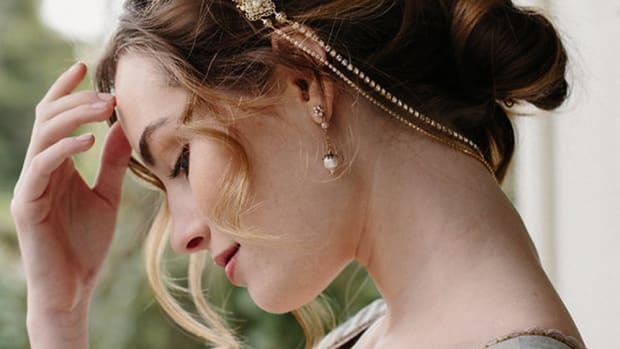 If you’re a free spirit and want to be a little more expressive with your bridal ensemble, try bohemian jewelry to reflect your carefree tastes. 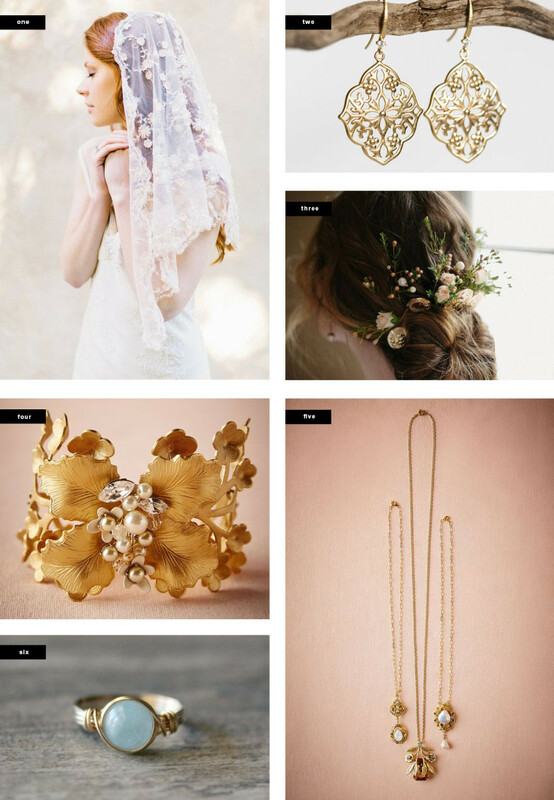 Long necklaces, floral head wreaths, gold dangly earrings, and gemstone rings are more casual than your typical wedding getup but result in a creative, feminine look. 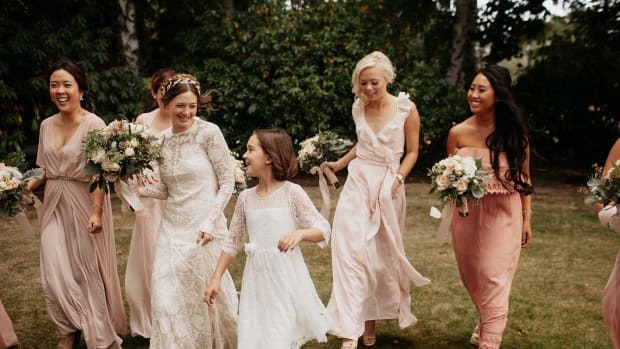 Be sure to take the style of your wedding dress into consideration; take a pass on boho jewelry if you’re wearing a ball-gown. If you’re a girlie girl but don’t like a ton of lace or frills, try a more modern feminine approach. Adding a little extra sparkle in your jewelry while incorporating subtle pink tones is feminine without going over the top. Explore new trends in the bridal market, such as shoulder epaulets, that bring your wedding ensemble to another level of extravagance. Your guests will be complimenting your unique look all day long. If you draw your fashion inspiration from films from the 1920s, thirties, and forties, you are a vintage maven at heart. 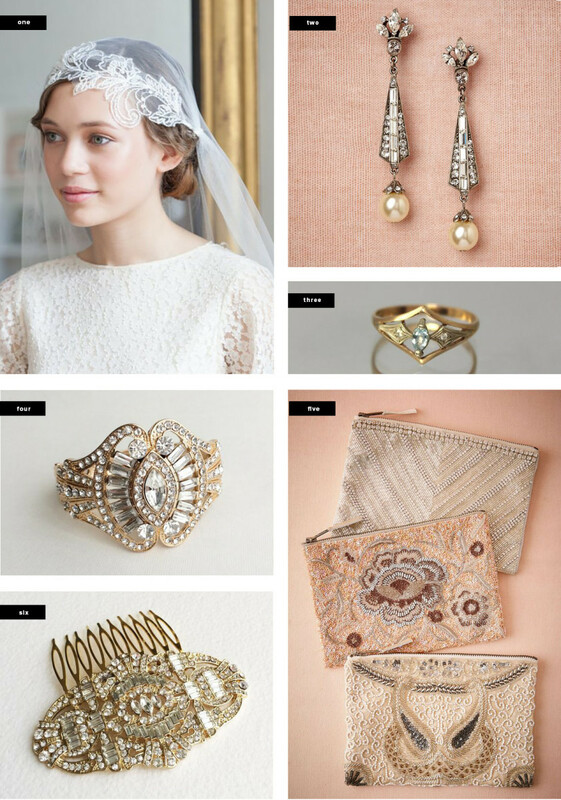 To incorporate your vintage tastes into your bridal look, opt for jewelry that has art deco inspiration. This means brooches, combs, earrings, and rings with more geometric designs that are bold, square, and triangular. Think The Great Gatsby. 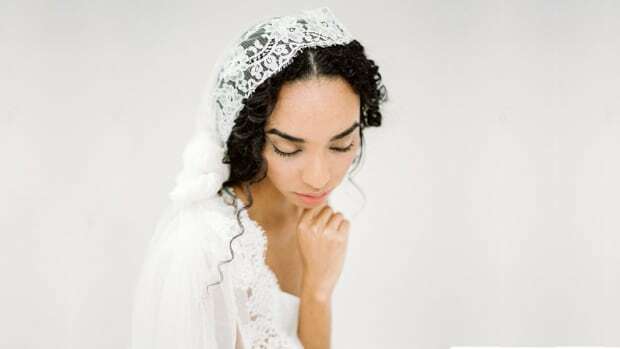 A cap veil is not only vintage-inspired but also totally unique. Because this jewelry style is so bold, it looks best when worn with a simpler dress without a ton of embellishments. 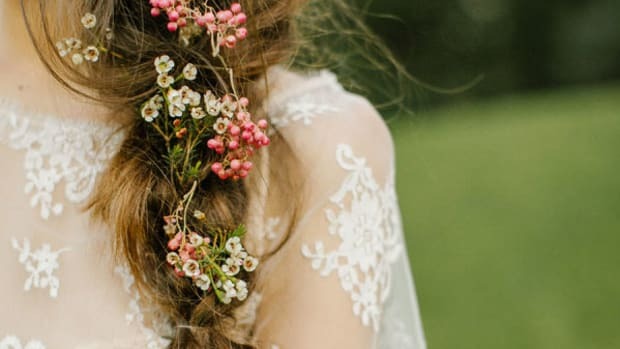 If typical bridal jewelry is just not your thing, you might be ready to try a more experimental look for your wedding. We’re talkin’ about color! A wedding dress is typically white, but who said you couldn’t add some vibrant hues with your jewelry? Rich jewel tones always look sophisticated and regal, so begin by choosing your favorite tone to incorporate throughout. 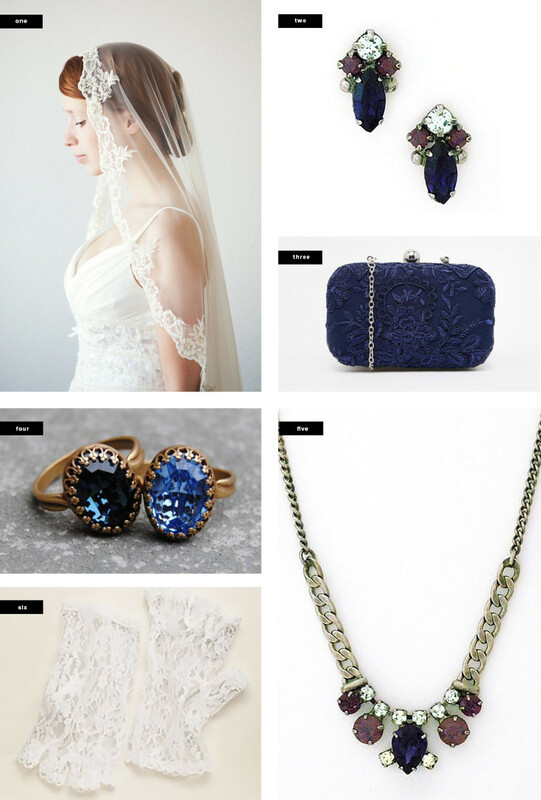 We picked a dark sapphire and matched the necklace, earrings, rings, and clutch. Because this jewelry style is all about regality, wear a Spanish lace veil to complete the look of luxury. Of course, we couldn’t leave out the classic wedding look. A bride can’t go wrong when being traditional with diamonds and pearls—they are timeless, after all. 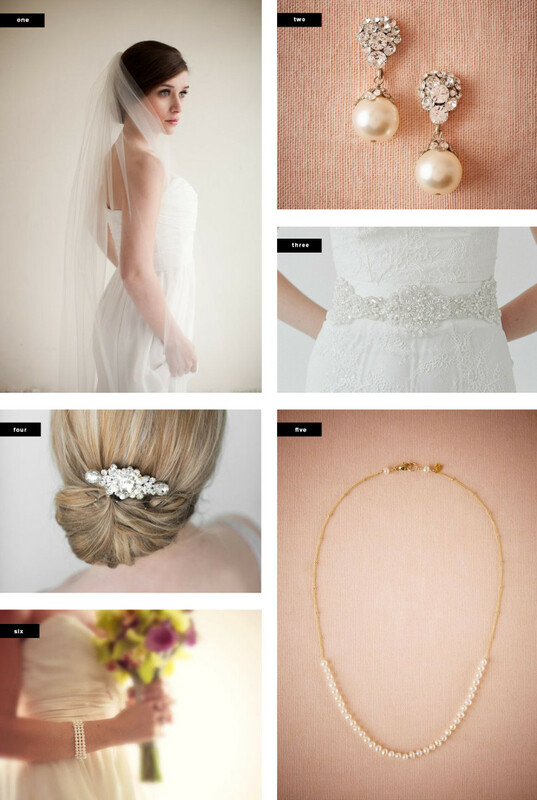 If Grace Kelly and Kate Middleton are your style icons, classic jewelry will be ideal for you. A common misconception with pearl and diamond jewelry is that you have to choose between them, but really they look best when paired together. That’s right, you can get the best of both worlds! 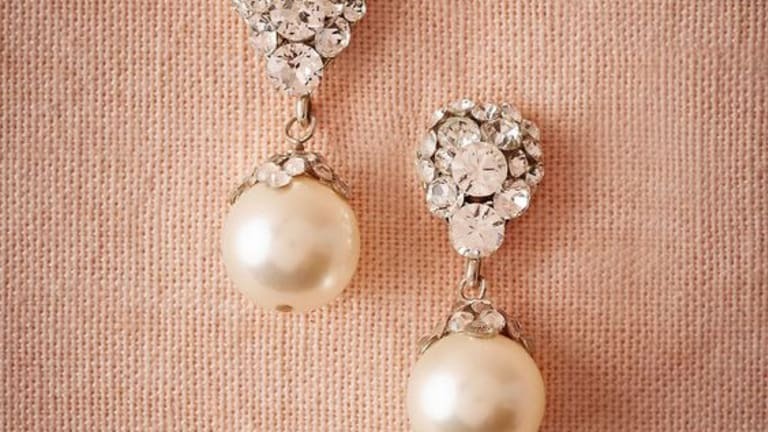 Earrings, combs, sashes, necklaces, and bracelets look even more beautiful when the pearls and diamonds are combined.